Macrophage engulfing bacteria. 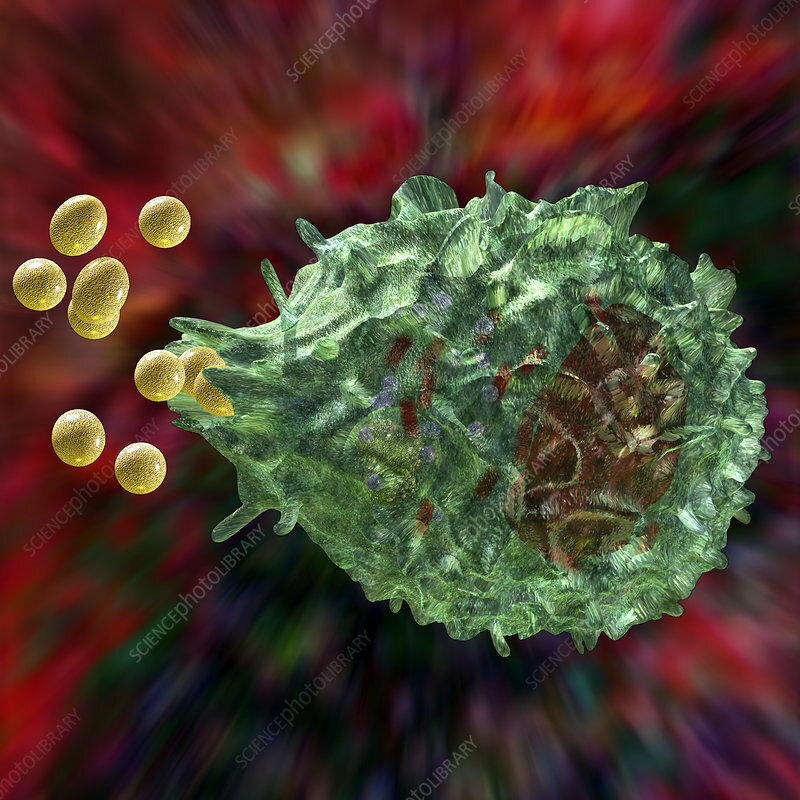 Computer artwork of a macrophage white blood cell (green) engulfing bacteria (gold). This process is called phagocytosis. Macrophages are immune system cells that phagocytose and destroy pathogens, dead cells and cellular debris. After phagocytosis they display fragments of a pathogen's proteins on surface receptors to direct other cells to attack the pathogen.